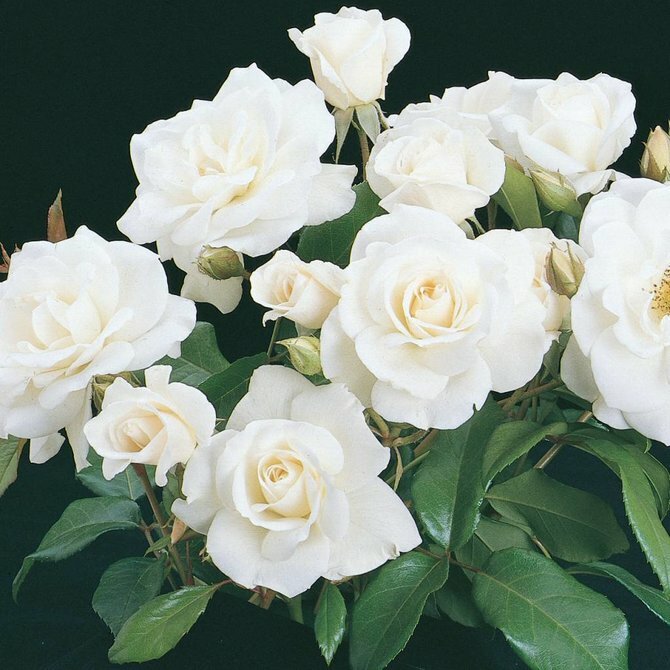 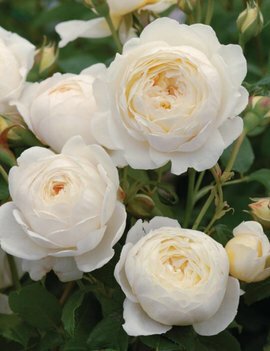 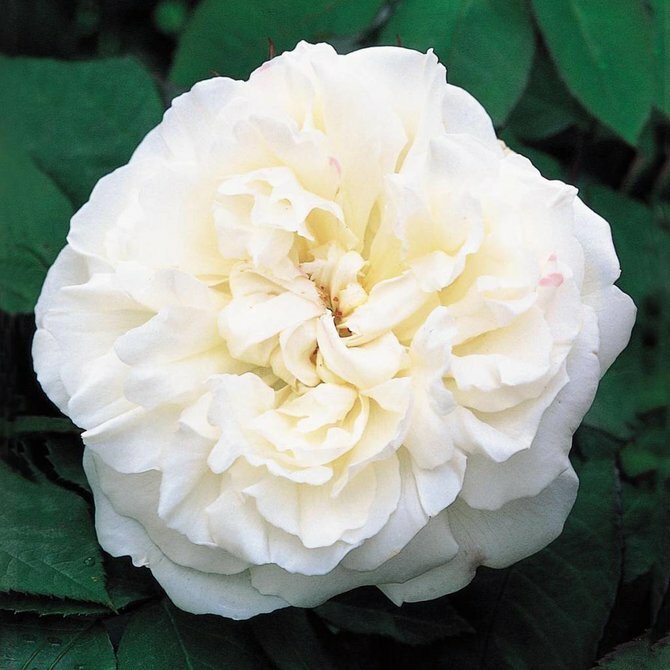 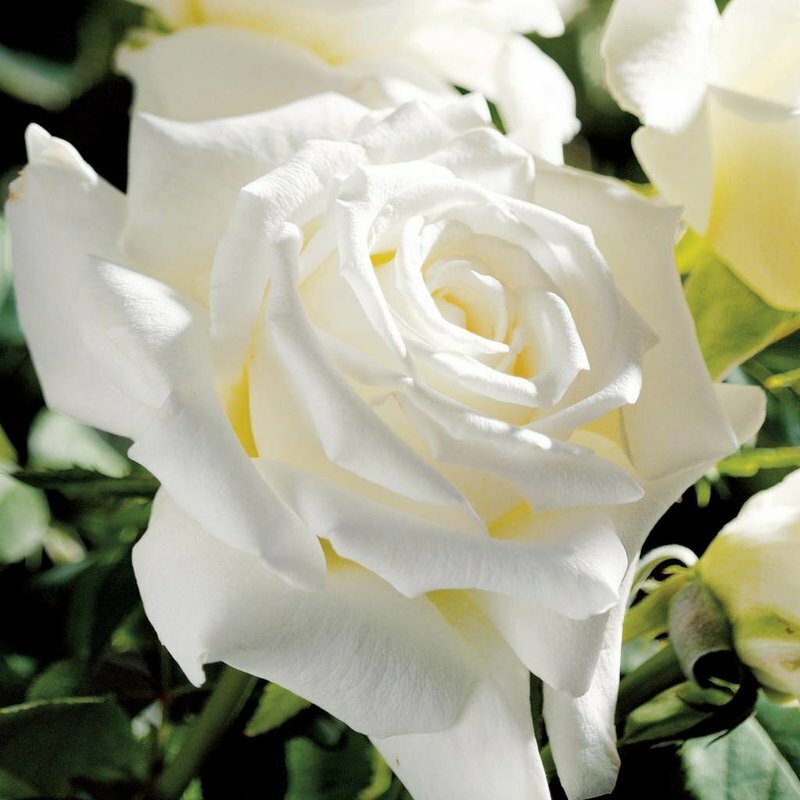 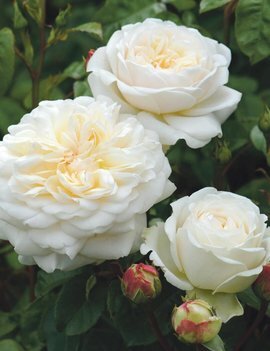 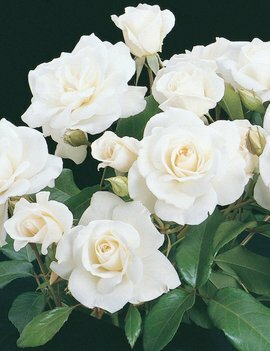 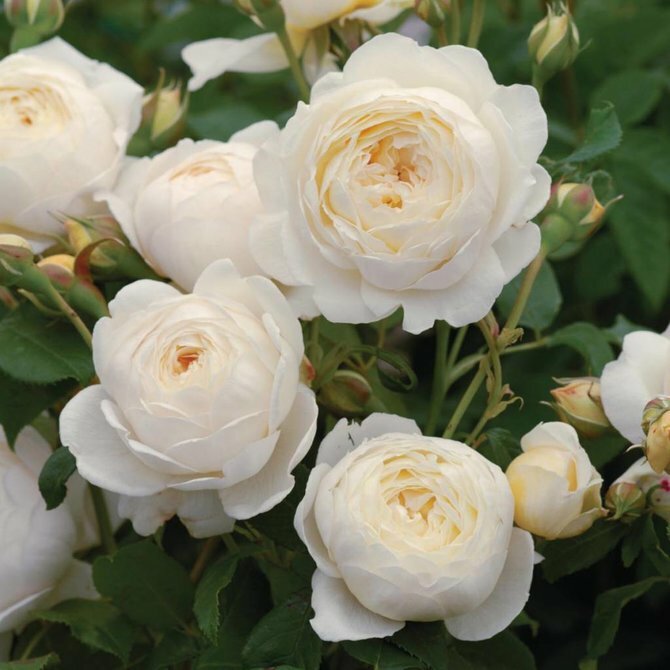 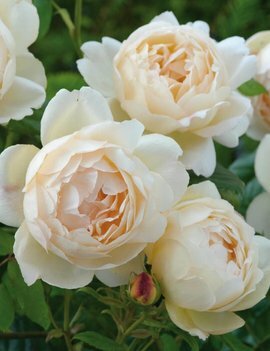 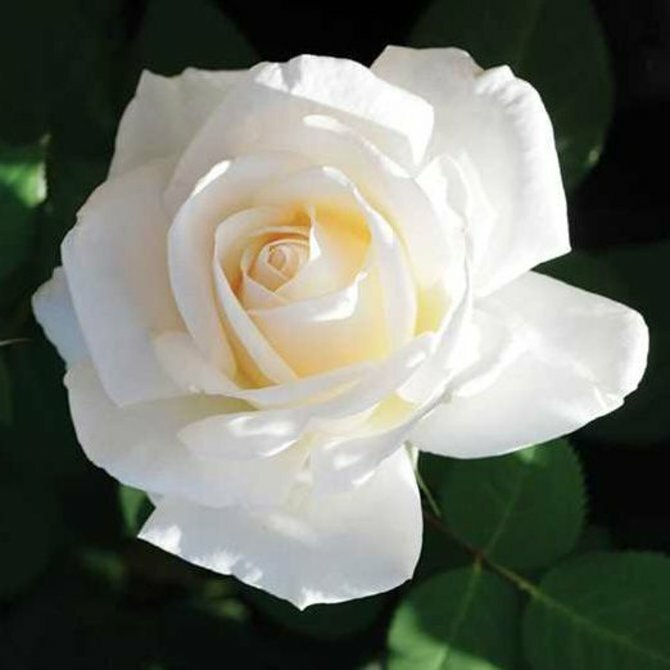 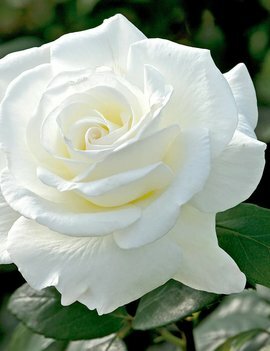 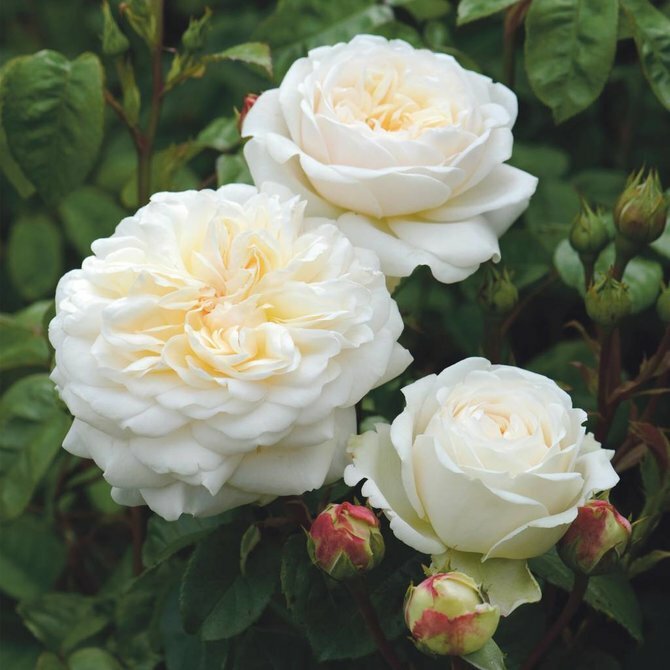 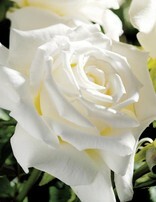 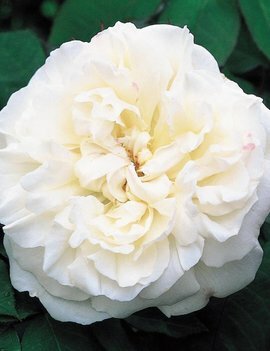 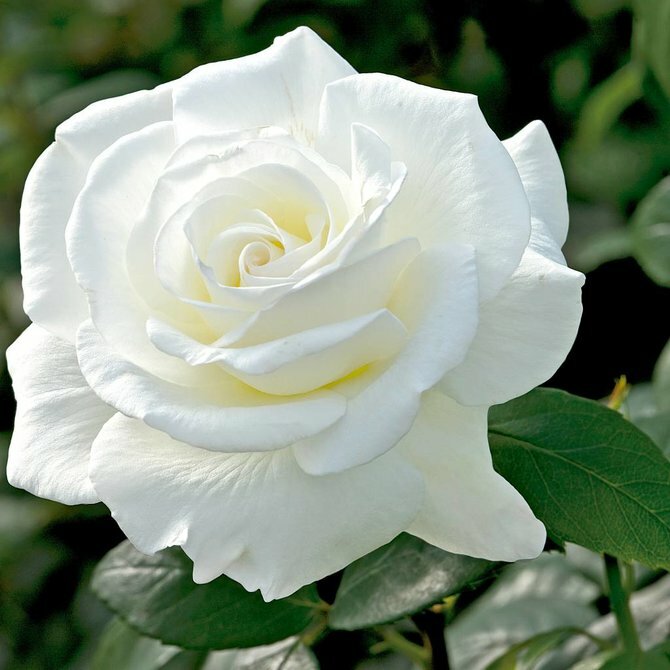 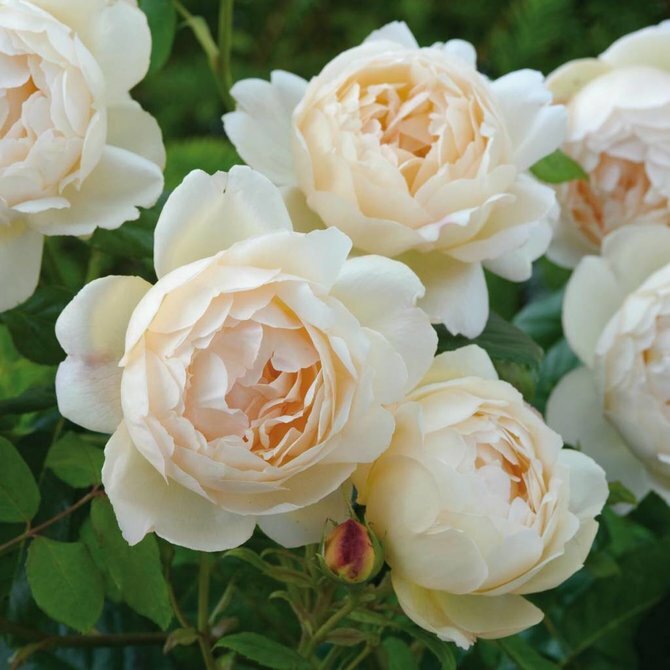 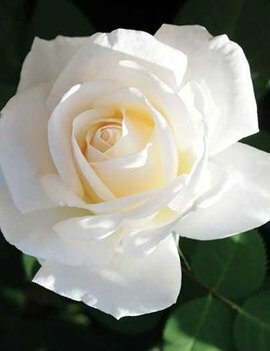 The Pope John Paul II rose produces large and luminous pure white blossoms with a delightful, fresh citrus fragrance. 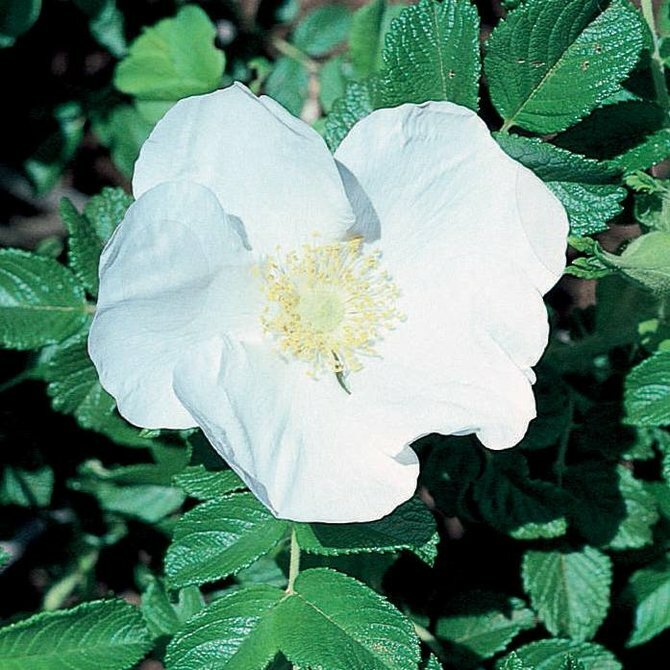 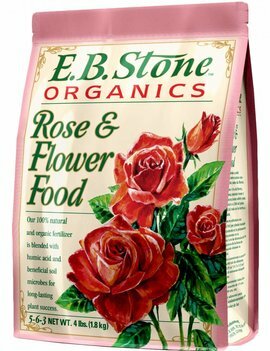 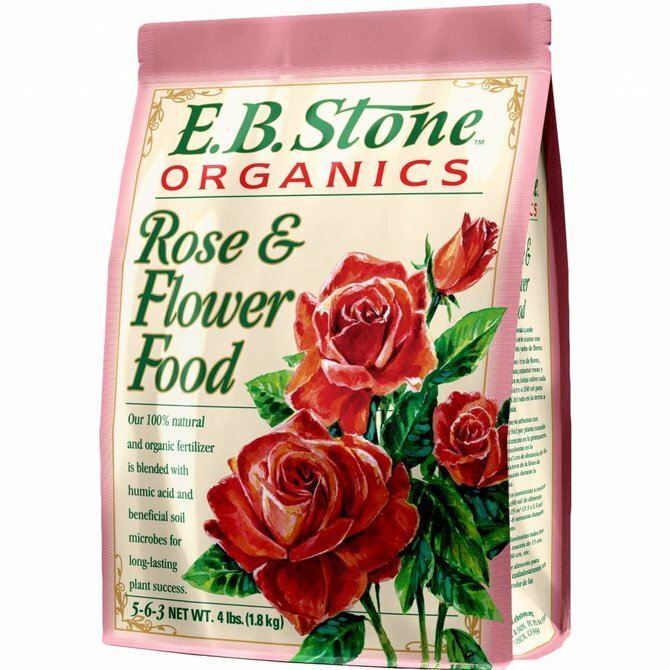 The lavishly petaled flowers shine against the abundance of dark green foliage. 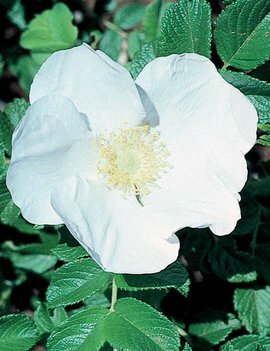 Larger flower size in the cool spring.